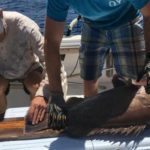 Can Released Deepwater Grouper Survive? The use of descending devices in offshore bottom-fishing can combat the potentially life-threatening effects on fish brought up from depth. 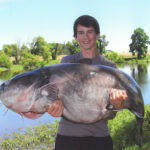 How Are Blue Catfish Infiltrating New Waters? Understanding the impact of invasive species on natural ecosystems is an important field of study in fisheries science. 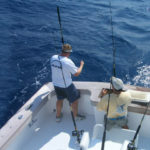 Do Anglers Prefer Artificial Reefs? 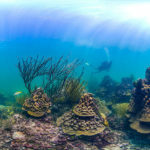 Knowing whether anglers prefer one reef type more than another can help to assess the value of reefs for fishing and enjoyment. Will Fish Move as the Atlantic Warms? 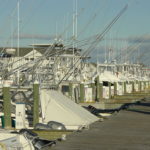 Warming of ocean temperatures may ultimately change the distributionsof many popular fish species, impacting both local fishing communities and possibly even major fishing ports. Can Circle Hooks Compete with J Hooks? If circle hooks were required, what impact would it have? 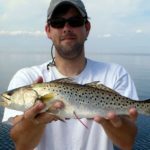 When Do Spotted Seatrout Succumb to Winterkill? How cold is too cold for spotted seatrout? 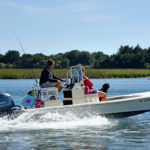 The risk of death associated with boating increases at all blood alcohol levels. 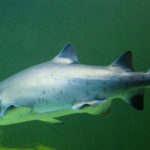 Can Sand Tigers Survive Catch and Release? 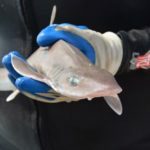 Classifying the number and release condition of correctly identified sharks is more important than ever. Fishing is one of America’s favorite pastimes, with outdoor recreation providing a huge contribution to the nation’s economy. 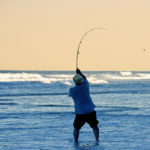 It’s therefore important to understand to what extent we love to fish — and how much we spend on this much beloved hobby. Two fisheries specialists with more than 40 years of combined professional experience have just launched our new blog on recreational fishing.